Join our tour at the Waitangi Wharf where the cruise ship tenders arrive. Our first destination is the Haruru Falls, its name meaning "big noise". Back in the 1800's, more than 100 Maori villages lined the banks of the Haruru River and Maori legend says that a taniwha [water monster] lives in the lagoon below the Falls. 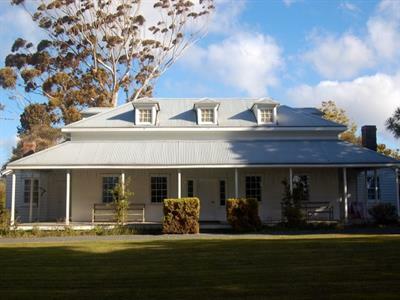 Next we go to Kerikeri a town with a rich and colourful history and location of the "The Stone Store" and New Zealand's oldest building the adjacent "Kemp House". Kerikeri is also known for its successful horticulture and niche food products, so a visit to the Makana Chocolates factory to try their hand made chocolates cannot be missed, or perhaps an ice cream or coffee from their adjacent cafe. 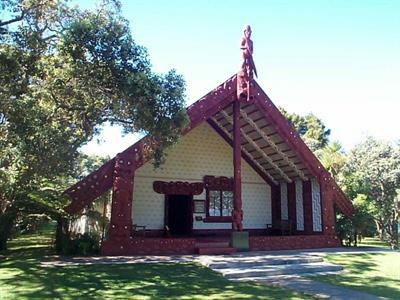 After our scheduled lunch stop, we then head inland through farmland and forests, to our next destination, the very significant historic "Te Waimate Mission House" Built in 1832, it is the only survivor of three mission houses founded in 1830 by the Church Missionary Society. Time to enjoy the beauty of the Mission house, a simple Georgian building which was the Church Missionary Society's first farm and the forerunner of modern agriculture in New Zealand. 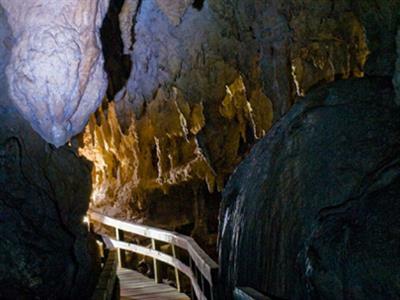 It is also where Charles Darwin spent Christmas in 1835 on his visit to New Zealand. Leaving the mission station we travel south to the town of Kawakawa, through which the railway runs in the middle of the road. 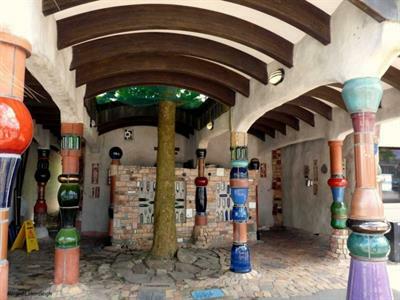 It is also location to the now world famous "Hundertwasser Toilets" one of the few public toilets seen as an international work of art. Designed by the expatriate Austrian artist Friedensreich Hundertwasser who lived in Kawakawa from 1975 until his death in 2000. We then head north around forested coastline to Paihia and the ship. 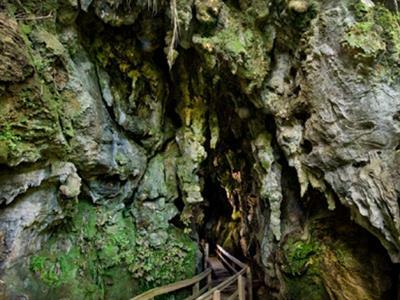 Our last destination will be the Kawiti Glow worm caves where a local maori guide will lead you through these underground caverns to see the glow worms and also tell you how the caves came to be found. It’s then just a short drive back to Waitangi to board the tenders to your cruise ship. Please note that on some days the order of the tour may change. Collection and drop off at the ship wharf.